"'The only good thing about jazz is that it scores very highly on Scrabble.' Alan"
In this cinematic era of Disney dominance and Blumhouse horror, it is a rare moment when a film offers a refreshing surprise during a screening. Then comes a quirky and profound story from director Carl Hunter and Frank Cottrell-Boyce the screenwriter behind The Railway Man and Goodbye Christopher Robin. A production that proves to be a fascinating mixture of Wes Anderson and the off-putting, dry wit comedic stylings of British humour. Sometimes Always Never manages to capture the imagination from the opening beach sequence then quietly and subtly pulls the audience into this idiosyncratic and wonderful story of grief, family and words. Bill Nighy plays the stylish, but seemingly aloof, Alan. A man who is an enigma as a man of few words, but one who is obsessed with words, specifically as a means of playing Scrabble. His demeanour is not credited to a mental condition as much as his singular focus of finding his son lost son, Michael. His eldest left home abruptly after a family disagreement over the word game and ever since, Alan has been relentlessly searching for him. The only thing that keeps this father motivated to find his prodigal son are the hope and support of his other son, Peter (Sam Riley). Initially, this seems to be a simple father/son tale of reconciliation, but it methodically unfolds into a poignant journey of rediscovery and letting go of the past. It shows the value of communication and the importance of being present in the lives of those you love. This is where Nighy proves to be the master of subtlety and understatement, while drawing emotion from everyone around him. The veteran actor manages to convey the loss and guilt he is experiencing while attempting to reach out to his remaining family through words and through his skills as a tailor. Carl Hunter frames the story by focussing on the rich history of the prodigal son while looking at the impact the selfishness of the one who left on the extended family. The desertion of one son causes rips and tears in the fabric of the family, but his absence also manages to drive a family closer together in the process. 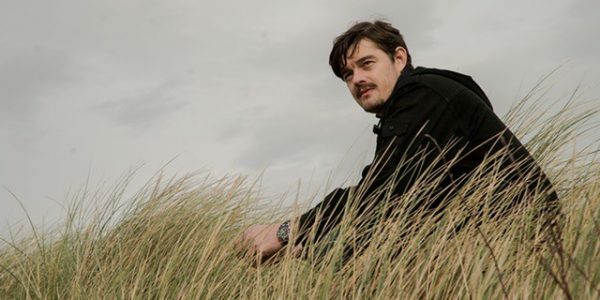 Sam Riley brilliantly portrays the challenge of being the son who is left to deal with heartache and loss experienced by their father. Then to watch as this awkward situation grows into a beautiful opportunity for the familial ties to be strengthened was one of the most refreshing narratives in cinema this year. Sometimes Always Never manages to show that nothing can take the place of a well-crafted story. The visuals and dialogue may prove to be difficult for the sound-bite generation to embrace, but it will be worthwhile seeking out this movie. Even though it is packaged as an unconventional, independent film, it does provide something for anyone who has experienced loss and who yearns for connection with those you love.